Plenty of articles describe this hello world of Machine Learning. I will merely list some references and personal notes – primarily for my own convenience. The objective is: get a first hands on exposure to machine learning – using a well known example (Iris classification) and using commonly used technology (Python). After this first step, a second step seems logical: doing the same thing with my own set of data. 7.21 AM Create Fedora VM and install Fedora Linux on it from ISO image (create users root/root and python/python); reboot, complete installation, run dnf update (updates worth 850 MB, 1348 upgrade actions – I regret this step), install Virtual Box Guest Addition (non trivial) using this article: https://fedoramagazine.org/install-fedora-virtualbox-guest/. 8.44 AM Save a Snapshot of the VM to retain its fresh, mint, new car smell condition. now the environment has been prepared, it is time for the real action – based on the second article in the list of resources. 10.15 AM done with sample; that was quick. And pretty impressive. It seems the Anaconda distribution of Python may be valuable to use. I have downloaded and installed: https://www.continuum.io/downloads . 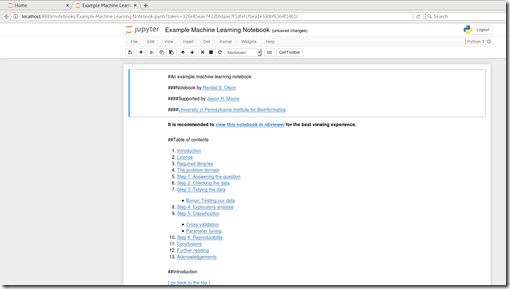 Let’s see about this thing with Jupyter Notebooks (fka as IPython). 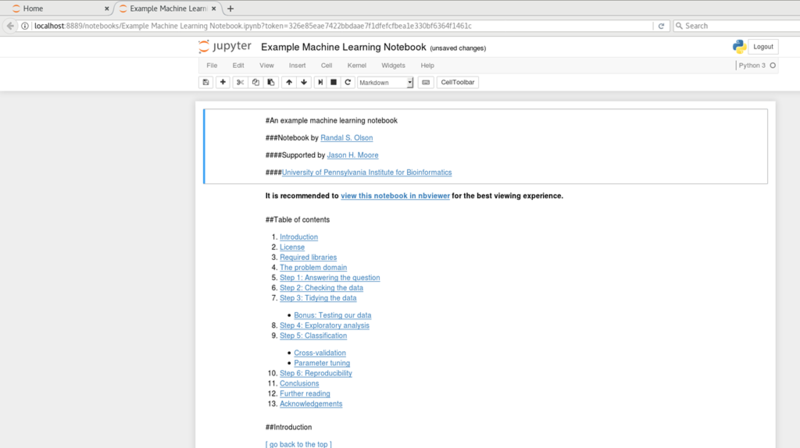 Installing the Jupyter notebook is discussed here: https://github.com/rasbt/python-machine-learning-book/blob/master/code/ch01/README.md . Since I installed Anaconda (4.3.1 for Python 3.6) I have the Jupyter app installed already. Let’s try to run one. I can run the notebook, walk through it step by step, edit the notebook’s contents and run the changed steps. Hey mum, I’m a Data Scientist! Oh, it’s 11.55 AM right now.